There are about 1,209,803,094,832 articles on the web today related to influencer marketing and how it will revolutionize PR and marketing in 2017. Knowing how important it is for an organization to activate key audiences, we at Business Wire wanted to provide a closer look at influencer marketing, why it is so important and how it works. Why? What is influencer marketing? Influencer marketing is the identification of, and outreach to particular individuals because of their existing reach within a particular market or demographic audience segment with the hopes they will share your content, or create their own, to educate their audiences about your business or product line. This is exactly what PR pros do every day! Every day they identify publications and writers that their audiences trust, and reach out with the hopes of securing media coverage. The difference between an influencer pitch and a media pitch is usually found in the output and the financial incentives influencers require to share your content with their audiences. Influencers offer companies new lines of communication. They provide the opportunity to reach smaller, highly targeted groups with authentic and trusted content designed to drive action or meet a specified goal. Most influencer programs in 2017 are paid programs, with access to content and goods as secondary payment options. Why would a company initiate an influencer marketing program? Every two years, Nielsen releases its Trust in Advertising Study. Over and over, the results show that consumers place high trust (66%) in editorial/expert content. But when that content is shared by a friend or someone they know? The trust in that content jumps to 83%. Imagine consumers trusting your company’s information at a rate of 83%! That is huge! Influencers work hard to build their audiences, to create friendly relationships with their readers. Their goal is to create content pieces that their audience not only will read or watch, but that will activate their readers to take an action – to share the content, to click the link, to buy the product. If you are looking to reach a particular audience, it makes sense to work with someone who is already a trusted source to your end audience. What are the rules surrounding influencer programs? The most important rule in influencer programming is related to disclosure. The Federal Trade Commission is responsible for truth in advertising. In 2009 the FTC issued guidance on influencer programming – requiring influencers who were compensated for posts to make it clear to readers that they were working with the brand as a paid or compensated spokesperson. These are guidelines not laws, but are considered a key part of truthful, transparent influencer engagement. This information should be provided in the body of blogs, as a footnote in videos, a spoken sentence in audio content and via social updates utilizing the hashtags #spon or #ad plus the name of the sponsoring organization. What kind of influencer programs are there? There are many times an organization can use influencer marketing. It can be to support a new product launch, or to extend the visibility and reach of an existing product. You can leverage influencers to share out your created content, or to create their own content based on your specifications. Influencers also do a great job of reporting and extending the life and impact of events. But influencers can do more than just share a product release – they can be invaluable in a crisis, providing another avenue for you to reach end audiences when misconceptions or mistakes are dominating news headlines. What are the features of a good influencer? A good influencer is one that has a strong reach within your target audience. Influencers are not meant to be used broadly – they are meant to activate small segments of your overall audience. A good influencer will be someone who actively participates in your target audience sphere, online and offline. Another hallmark of a good influencer is someone who creates content that activates others. You want to find influencers who encourage action, not one that simply promises visibility. Another thing to consider is the influencer’s own brand voice. You may want to find influencers that align with your existing brand voice and values, or you may choose influencers with a completely different type of style if looking to reach completely new audiences. Influencers can be famous. Or not. If you have a large budget, you may want to consider partnering with a celebrity or a mass influencer (someone will more than 1 million followers). But this is not a requirement for a good influencer program. Many companies have found strong success in activating influencers with smaller audiences. Their followers may be more passionate and more likely to act upon the shared content as they feel more connected with the influencer. Influencers can also be reporters and writers! They may be industry professionals such as the head of your industry association. Employees are wonderful influencers and can be activated with little out of pocket costs with a strong employee engagement program. Company partners and customers can also help share out important content pieces and news with a simple ask. When launching an influencer program, it is key to identify internal and external industry experts. How do you find your influencer? 84% of marketers identify influencers manually and most marketers agree identifying the right influencer is the hardest part of the entire program. To get started, first identify who is currently sharing your company news out across their social channels, publications or blogs. Are they employees? Journalists? Analysts? Partners or brand fans? Who is currently advocating for your company? Next, look to see who is advocating for your competitors and your overall industry. Who has the largest voice, one that most aligns with your own organization’s tone and goal? Then, it is time to turn to your tools. 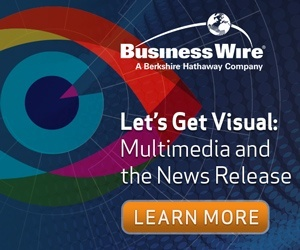 News release distribution services like Business Wire provide organizations with a complete list of who socially shared out their news releases. This is an influencer list! Simply go through it and see who you want to add to your list. Social monitoring services like NUVI identify who is tweeting out support for your business and industry. Don’t forget that media databases like Agility PR now include influencers who want to work with brands as part of their service. You can outreach to influencers via email (usually found on their website on the contact page) or via their social channels to initiate the discussion. Check in next Tuesday, March 7th at 8am for Part II of this piece, offering additional insight into "Influencer Marketing" and what to do once you've identified your relevant influencers.